A family owned and locally operated business since 1987! 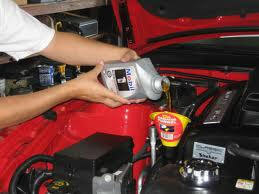 We are your Oil Change Specialists! Our Full Service Oil Change includes up to 5 quarts of oil, oil filter change, fluids check, windshield washer fill, tire pressure check, clean windshield, and vacuuming front of vehicle, all while you wait in our comfortable waiting room.